I had the opportunity today to visit a magnificent private garden off North Shore Road in Norfolk Virginia. Created by Nancy the home's owner and a master gardener, the variety of plantings, the wonderful palette, textures and contrasts were a photographer's and would be gardener's dream. 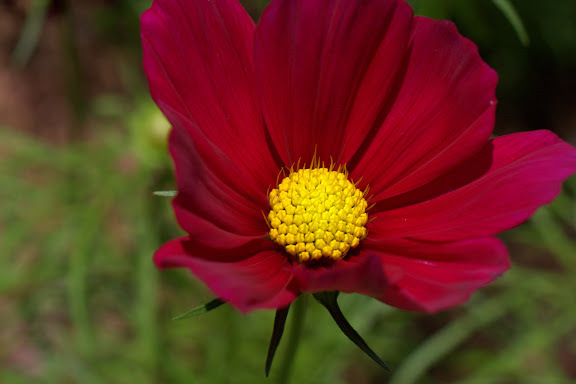 This is one of the flowers I captured today, check out some others in my Picasa web album. Thanks Lin for the invitation. Canon 40D, 50mm compact macro, 1/500 sec @ f/8.0, ISO 100.